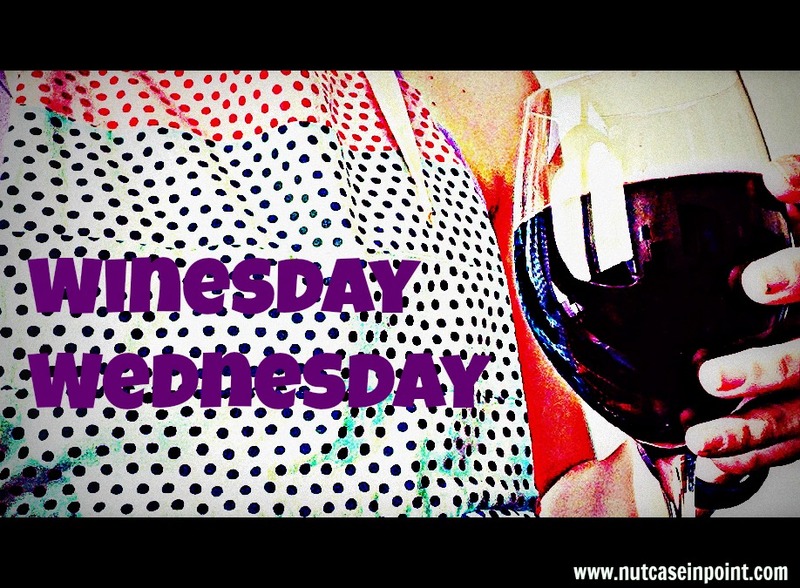 Yes yes yes, it’s Winesday Wednesday! But let’s forget the past. I’m here now so everyone relax. PS: it’s the holiday season and I know plenty of you are indulging in holiday temptations- one of which should include alcohol. SO HERE’S YOUR ASSIGNMENT. It’s so freaking easy. Send me a pic of a holiday drink you or someone you know has had! I want to see your eggnogs, your hot toddies, your cranberry martinis, bailey’s, EVERYTHING. That way, when I’m bored after opening all my wonderful presents next Wednesday, I’ll be able to throw a festive post together for your holiday reading pleasure. OK, so what do we have to share this week. How about the submissions I received and never published? Yep. Keith emailed: Last time we had this, I focussed on the stopper. This time the bottle showing a bit of dust. Down at the bottom you get a hint of the deep amber colour this wine has. 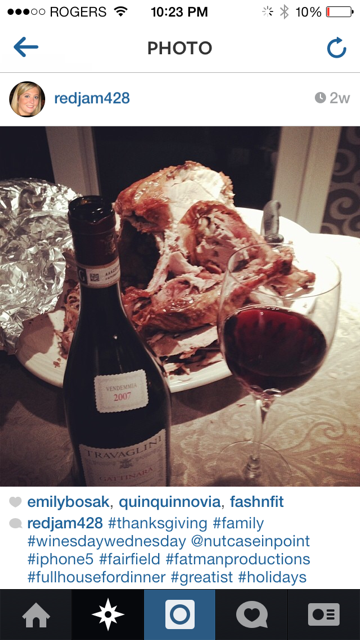 It went very, very well with a roast chicken dinner, stuffing, baked spuds, and the salad you see. 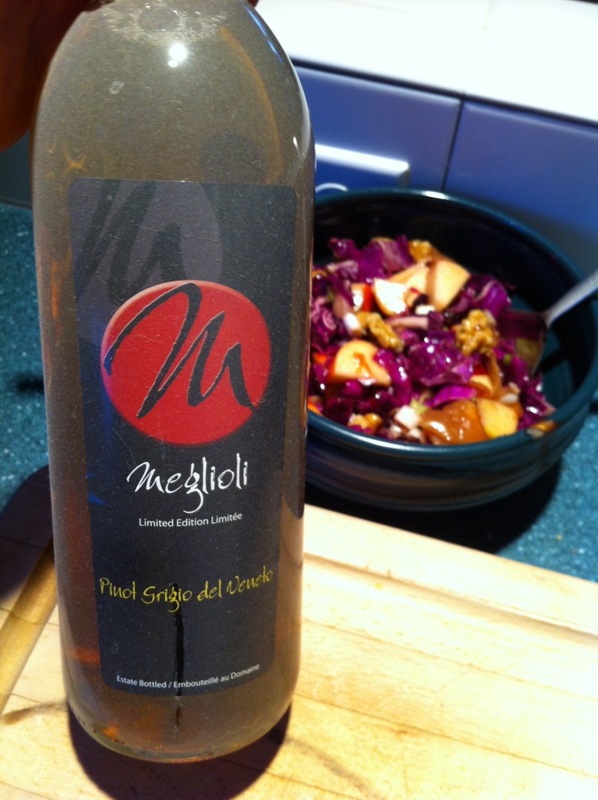 Sort of a modified waldorf, with a honey dressing and pickled ginger as one of the ingredients. I’m drinking the wine while contemplating the wine order to phone in tomorrow. Such a soft and gentle wine this time, whereas the last pinot grigio was a fruity wine with a bit of a bite to it. Maybe an affectionado would say we’ve left it too long, but then, I don’t really care what the wine snobs say. Oh yeah, and my parents got us this thing for Christmas. I used it for the first time last weekend when I opened a bottle of Cinnamon Mead (more on that) and the thing works amazing! Of course, it took me a few tries to get it right, but now that I know how to operate it, I’m a pro. 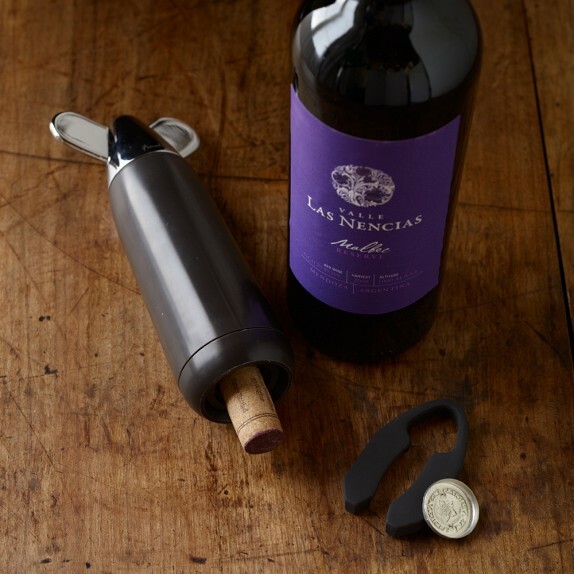 Calgarians: invite me to parties and I can entertain your guests with my bottle opening skills. 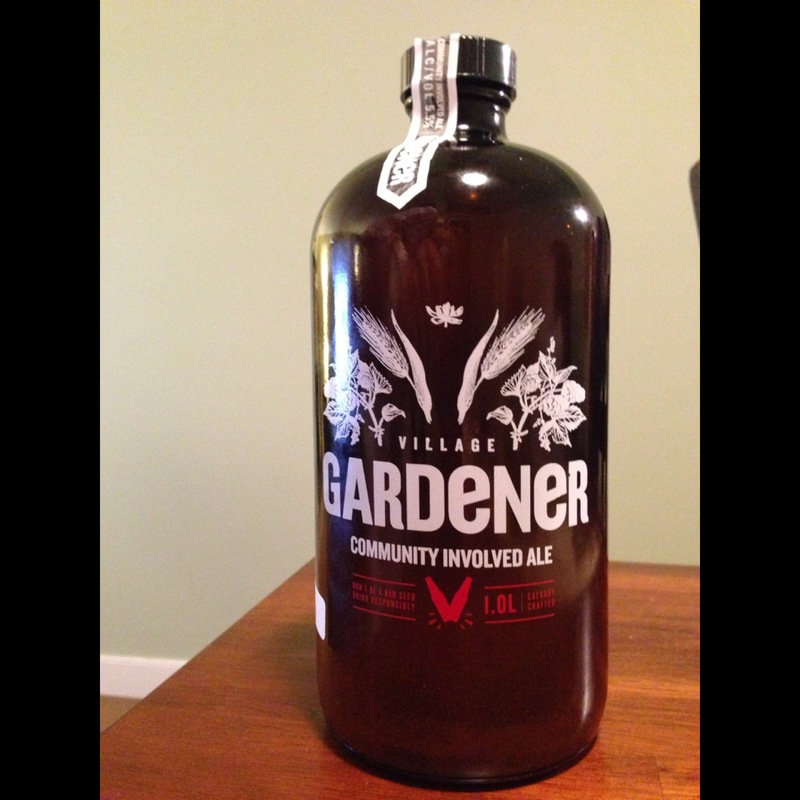 Village Brewery Gardener Ale- where the ingredients are locally grown/sourced. Pretty sweet! It’s similar to an IPA (which aren’t on the top of Tyler and my list) and it was pretty tasty. I think even more so knowing where it came from! Fallentimber Meadery- we picked up a bottle of cinnamon mead after having a sample at the local liquor store. It was actually pretty tasty and I LOVE me a local vendor! The guy turned out to be the owner of the place and he invited us out to the property to take a tour of how they brew/harvest honey. Not keen on bees, but definitely keen on mead. We’re going. 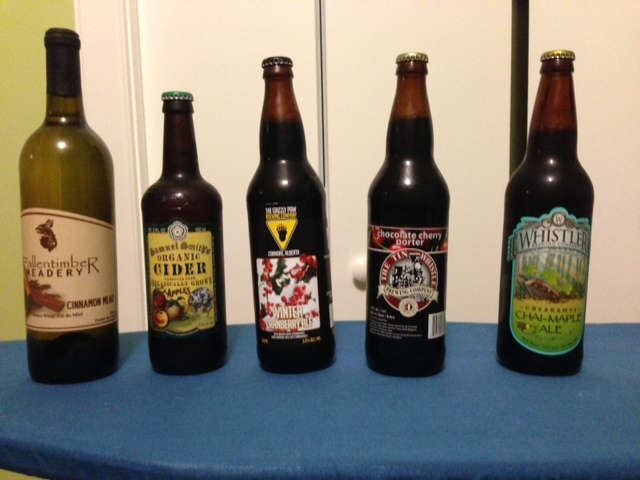 Samuel Smith’s Cider– super sweet, but very light and yummy. Grizzly Paw Winter Cranberry Ale– more like a porter! It was a very dark beer and had a rich, deep flavor. The Tin Brewery Chocolate Cherry Porter- the taste lived up to it’s name! PS: Friday is national sangria day. 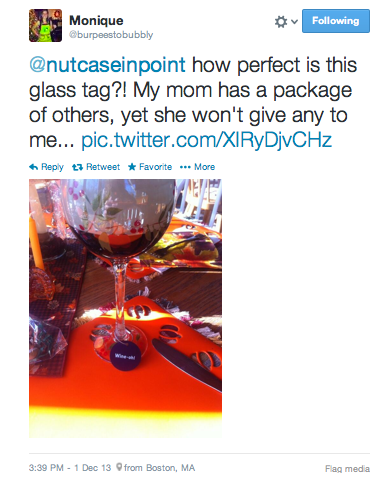 I think I can do my part and indulge in a glass or two….can you?? I can guarantee my holiday will consist of way too much bubbly (if there’s such a thing!) and I will be sure to send pics your way!